How the 10K SALT limit is "filled" / "prioritized" when you have more than 10K of potential deductions? I live in California. and between property taxes and state income taxes, I have about 25k in potential deductions that is being reduced to 10k under the new federal tax law. This is split approximately in just over 10k of property taxes and 15k of state income taxes. I will be getting a state refund in next days / weeks based on the 2018 tax year numbers. How will the government / tax systems know that I received no benefit from state income tax deductions and filled my entire 10k SALT limit for 2018 tax year just from property taxes? On the 1040 Schedule 5, it simply asks for all your potential SALT deductions and then chops it down to 10k with no indication of the priority to fill the 10k, when it seems to definitely matter how its "filled". I realize it would make no sense to tax my 2018 tax year state refund (received in 2019) because the 15k of potential state income tax went "wasted". The IRS is working on this. On March 29, 2019, they came out with a statement about the tax treatment of state tax refunds for 2019 taxes. The numbers aren't the same as yours, but I believe that the second example would apply to you, where none of the refund would be taxable. So far there is no worksheet available for 2019. The best way (hindsight) would have been to choose to take the sales tax deduction choice and not the state income tax deduction. Then the state tax refund could be ignored since it was not claimed at all. Yeah, I thought this too, but Turbo Tax seemed to autopick my state income tax payments made throughout 2018 in section 5 itemizing the potential SALT deductions. Perhaps I needed to manually adjust to somewhere to make this all a non-issue? But it seems (hopefully) its a non-issue either way because I am receiving no benefit from overpaying state taxes since the 10k limit will be filled by another SALT item (property taxes). received no tax benefit from the overpayment of $750 in state income tax in 2018.
income tax in 2018, B’s state and local tax deduction would have remained the same ($10,000)". If my state income taxes were paid perfectly throughout 2018, I would still fill up the 10k limit via property taxes. There is nothing new here. The new IRS ruling simply restates the "Tax benefit" rule that has applied to all kinds of reimbursed deductions since I started filing taxes. Although the specifics of the situation are new, the rule is the same as always. SALT taxes are not prioritized. Schedule A says, list your sales tax, property tax, income tax (5a-c). Total (5d). Then line 5e says, if 5d is larger than $10,000, enter $10,000 instead. For the state refund you received in 2019, representing state taxes you itemized on your 2018 return that was filed earlier in 2019, you simply apply the tax benefit rule. Did you get a benefit from the refund amount? If not, it's not taxable. If you didn't get a benefit because your tax deduction, without the refund amount, would still be over the cap, then the refund is not taxable on your 2019 return. 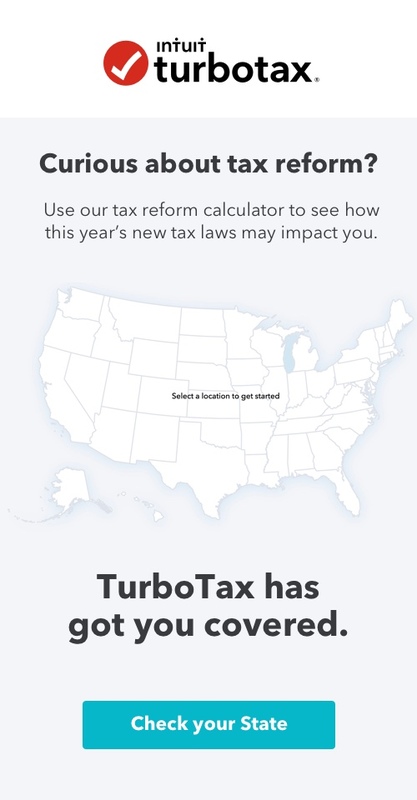 I suspect Turbotax will incorporate this in their calculations, they already have a version of the tax benefit rule when analyzing a state refund. This is just a minor addition.